Canadian vampire hunter Dracul Van Helsing and Peter Whitstable the Fox Mulder of Interpol were busy walking the halls of the Vatican. Since Dracul Van Helsing had been banned from the Vatican for calling German Cardinal Walter Kasper a heretic (even though he is one!). Cardinal Kasper was not amused. And neither was his boss Pope Francis. Van Helsing and Whitstable were in the Vatican because they had been informed by sources in the know that Hecate the Greek goddess of witchcraft, necromancy and sorcery had been seen wandering the halls of the Vatican. Hecate had been spotted in the Vatican in each one of her three forms- maiden, matron and crone. Van Helsing and Whitstable entered the room which was empty of any Crosses, Crucifixes or statues of Mary and the Saints. There on the Cardinal’s altar was an unusual assembly of paraphernalia. “And there appears to be a photo of some Cardinal whose image has been made into a voodoo doll stuck with pins,” Whitstable pointed, “Do you recognize the Cardinal, Dracul?”. “What did he do to inspire Cardinal JM’s hatred?” Whitstable asked. Meanwhile in his suite in the Kremlin, Russian President Vladimir Putin was dreaming of a vision he had encountered in the forest outside Moscow last autumn. 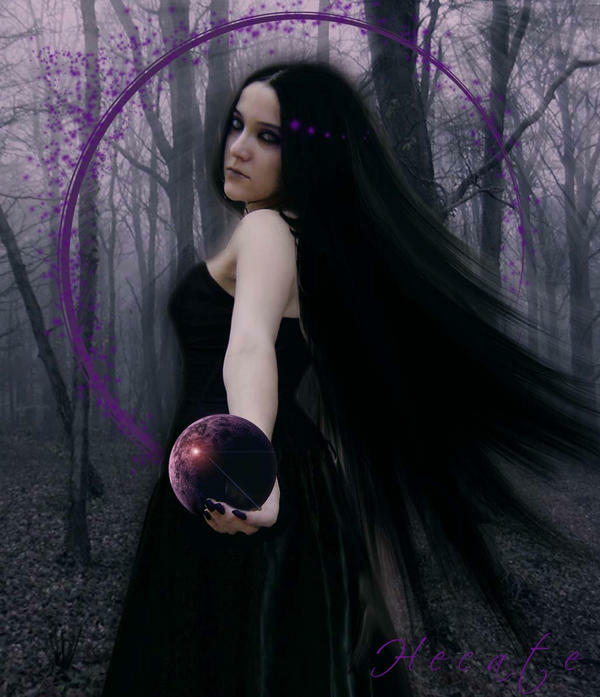 The vision was of Hecate in her maiden form handing him a crystal ball in the shape of a purple globe of the world. Cardinal JM was contemplating a lawsuit as he stared at the Nativity scene on his desk. It was his own personally designed Nativity scene that he had made back in 2012- when he thought the pagan gods of the ancient world would be returning to Earth. Unfortunately a Russian nuclear submarine with a laser death ray had vapourized and disintegrated the returning space ships of Osiris and Quetzalcoatl with their deity occupants back on December 21st 2012. Then back on Halloween night last year, the great scientific genius Dr. Cadbury Rocher had managed to reassemble the particles of Osiris and Quetzalcoatl and put them back together again. Dr. Rocher did this work clandestinely since most of the time Dr. Rocher was employed by Set Enterprises owned by the billionaire ancient Egyptian vampire Set (and Set probably wouldn’t be too pleased by having his brother, brother-in-law and rival Osiris reassembled yet again). But getting back to his beloved Nativity scene, Cardinal JM wiped a tear from his eye, he had made back in 2012 a fierce looking Zombie Christ Child with fangs visited by 3 zombie wise men. And he had just discovered that a couple in Ohio in the U.S. had been displaying a larger sized Nativity scene (with the exact same theme as his) on their property the past couple of Christmasses. What use was it being a great artist and thinker if other people swiped your ideas? Cardinal JM wiped another tear from his eye. He helped himself to some human fingers from his appetizer bowl as he gazed lovingly at the Zombie Christ Child. He blew his nose into his handkerchief and wiped away a few more tears. He went over to his prized collection of The Collected Writings of Cardinal Walter Kasper on his mantelpiece. Pope Francis had said reading Cardinal Kasper was like “doing theology on one’s knees”. Van Helsing and Pope Francis held widely contrasting views on Cardinal Kasper’s theology. Cardinal JM looked at his watch. It was time to join his private secretary Father Oliver Thomas Wardenclyffe in prayers to Hecate the Greek goddess of witchcraft in their private chapel to her. They would ask Hecate for her witchcraft blessing on the coming Papal Year of Mercy.